All your professional needs taken care of in one location. Dry Cleaning, Shirt laundry, Leather Cleaning, Wedding gown Preservation, Drapery cleaning, Comforters, Alterations, Photo copying (Black & White, or Color), Shipping UPS & FedEx, Business Cards, T-shirts, Laminating, Greek apparel, and much more. Drive up window and delivery service available. 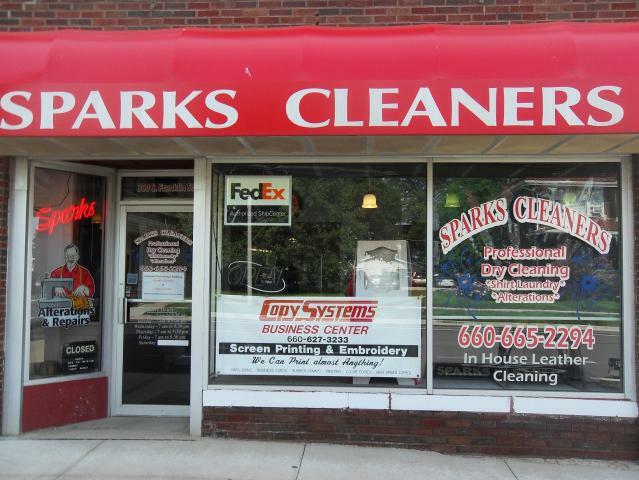 Over 75 years of combined Dry Cleaning Experience!